For the past 30 years, health clubs have been the place to go to get in shape. Full of fancy machines and tons of amenities, they lured millions of people through their doors, with promises of a better life. Unfortunately, most people buy a membership and never go. Recently, tons of small box gyms, personal trainers and local bootcamps have popped up on every corner, mimicking tough workouts seen on Youtube and running people into the floor. This high intensity style of workout is popular but the risks far outweigh the rewards. People end up over trained and eventually develop injuries. “My name is Jason Baran D.P.T. I am a licensed Doctor of Physical Therapy with 13 years experience in sports therapy and orthopedics including rehebilitating professional athletes from the L.A. Dodgers and the U.F.C. I highly recommend Corey Beasley and Innovative Results to athletes of all levels. 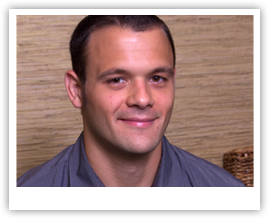 His knowledge of sports specific personal training is outstanding and he has the keen ability to effectively modify exercise programs uniquely for each client. Corey is one of the finest personal trainers that I have had the pleasure of working with in the past 13 years of my practice and I can personally attest to the effectiveness of his program!” – Jason Baran D.P.T. Doctor of Physical Therapy and owner of OC Sports & Rehab. Innovative Results is an Orange County Fitness Playground! 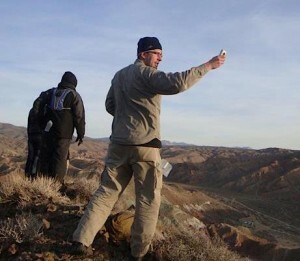 What types of coaching services does IR offer? Innovative Results offers personal training, classes, workshops and more to help you reach your fitness goals. This variety of services helps us, help you. Are you looking for a Private, 1 on 1, personal training experience? No problem, we have that available. Private Group Training is also available for people looking for a little competition, comradary, fun and accountability of working with a couple other people. 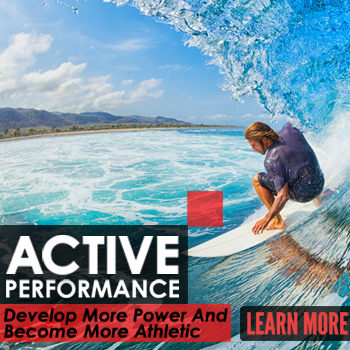 Innovative Results Active Strength, Active Conditioning, Active Recovery, and Active Performance Classes bring a larger group experience to the masses by offering high energy programs at a lower price point. We also host Educational Workshops, Certifications, Sport Events, Corporate Wellness Programs, Sport Workshops, and Team Building Events that help bring health and improved quality of life to our community. This past couple years has been an absolute blast and we have been fortunate to host and be involved with a lot of great events. Not in Orange County? No problem. Feel free to browse our Fitness Articles, that has hundreds of articles, videos and other resources to help you get healthier every week. If You Are Sick of the Typical Gym, Diets and Boring Routines, Schedule a Free Trial Below. But, Don’t take our word for it…check out what our clients have to say! Month 1 – Having worked out on my own and plateaued for 4 months, I finally broke my personal record weight dropping from 207 to 200 (I’m 6′ 2″). I lifted my personal best weight when I went back to a regular gym, previously 160lbs then 180lbs. Month 5 – My body fat has not increased at all, but I’ve added 6 pounds OF MUSCLE! I’m excited. I’ve increased my workout this month from 1 time a day 4 times a week to 2x a day 5 days a week. I feel fit, energetic and I see big results. First and foremost, I’ve been able to stay motivated to come more often because it’s never the same workout. Going twice a day could sound boring, but it doesn’t get boring for me because it’s so fun. Sometimes the workout is a game both physically and psychologically. 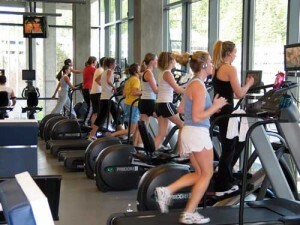 The equipment is all unique compared to a typical gym. The varieties of exercises keep the workout new every day. Everyone is friendly and encouraging. Just after 3 months, they’re almost like good friends. Aaron, the owner and trainer of “Warrior Training”, is always attentive to form and recovery. Many of my trainers in the past at other locations haven’t been too attentive to recovery. By learning proper recovery methods, I’ve been able to push myself more without feeling too sore, but still experience muscle growth. We’ve learned how to properly massage our muscles, what nutrition helps heal muscle faster and which stretches are most effective. All the trainers explain how to do the workout properly and take the time to educate you on what muscles they’re having you workout and why. You can tell they teach a lot based on what I wrote only in this section. When I can no longer train here, I know I’ll still do well. I’ve always been an amateur athlete. I grew up swimming, biking, and trying to be a runner. In my mid-20s, I started doing Sprint Triathlons. Every year, I tried to train more and more, and I prepared for many months for a Sprint Triathlon in Long Beach in September 2010. It was the day before the race. I went to pick up my bib number at the expo and that was when I ran into the Innovative Results team. They were there with battling ropes and—I think—even a tire to demonstrate strength training techniques. My boyfriend and I made our way over to check out what they were doing. 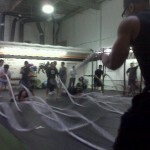 I was feeling really strong that day, but I’ll never forget how I felt when I picked up that battling rope. It was so heavy! I went from feeling really confident in all the “over training” that I had done to realizing that I had wasted a lot of time training ineffectively. 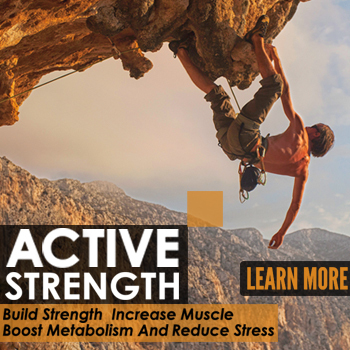 You don’t get stronger and faster by just doing the same exercise for longer periods of time or by doing an exercise at the same level of intensity. 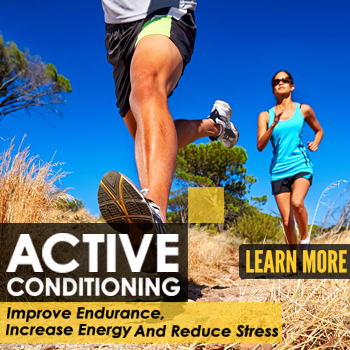 The following weekend after the race, I went to a free educational running clinic at Innovative Results. I really had to see this place and find out what I was missing. I spent the next couple months researching training programs online until I finally just called them one morning before work. Aaron Guyett was great on the phone. He asked me about my past and present level of fitness and what I was looking to achieve. Based on what I told him, he setup an appointment for me with one of the trainers. I showed up the next day for my first training session and I have been fanatical about Innovative Results ever since. My trainer is a certified dietician. She not only gives me the best, most effective workouts, but she has taught me how to eat better and help my muscles recover quicker. 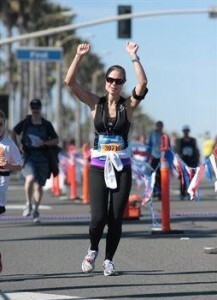 I’ve been at Innovative Results for 10 months now, and I’m so proud to say that on February 5, 2012, I ran the Surf City Marathon! I could have never done it without training at Innovative Results. The intensity, strength, and core exercises that I do there improved every aspect of my body and prepared me for performance! I have so much energy everyday and I feel so good about myself! The last year has been life changing for me. The Innovative Results team does amazing work!